The installation market is extremely demanding. Extended duty cycles combined with very high performance demands ensure that only products exemplifying durability with extreme fidelity will be considered. Lab.Gruppen’s dedicated installation products are designed specifically to surpass these criteria while offering features well beyond the expected. All are compact-yet-powerful, environmentally adept, extremely robust and offer a host of unique, market-focused features. Lab.gruppen is a Swedish company located in Kungsbacka, just south of Gothenburg. They have a great staff committed to the development of boundary-breaking sound reinforcement products for the professional audio industry. With their unique switch mode and other patented technologies, they work towards providing advanced power amplifiers and powered loudspeaker management systems that are utterly reliable and sonically superior. We’ve raised the bar for the C Series of network-controlled installation-dedicated amplifiers with the introduction of a formidable new flagship model, the C 88:4. Housed in a 343 mm (13.5”) deep, 2U chassis, the four-channel C 88:4 sets a new benchmark for installed power density by supplying 8800 watts of total output. Up to 2200 watts per discrete channel are available at 2 ohms, 2100 watts per channel at 4 ohms, while 4600 watts are available through two bridged output pairs at 4 ohms. 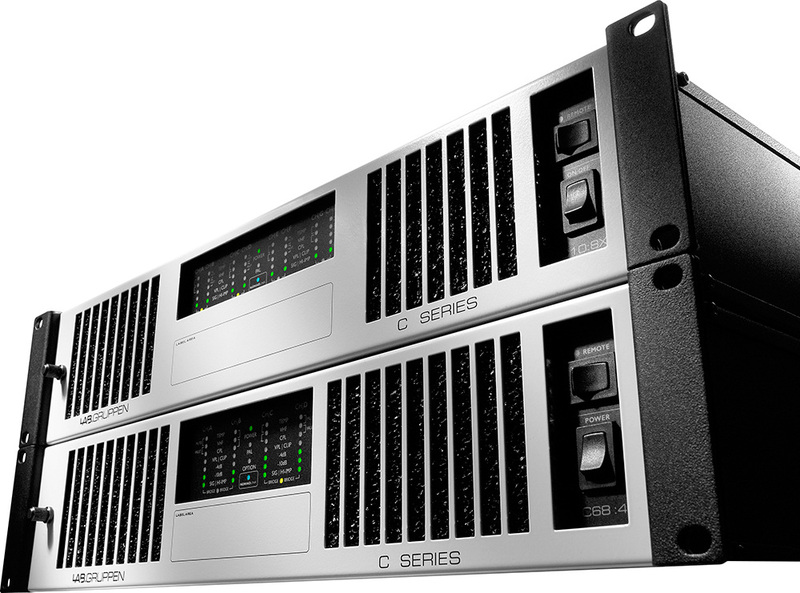 C 88:4 expands C Series capability to the largest performance installations and is ideal for powering sub-woofers, larger array systems and broader multi-power-level/impedance applications.